Make it a day-cation at the Farmer’s Daughter’s Market! 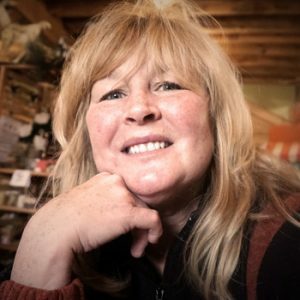 Jennifer Goodlove, (the farmer’s daughter) invites you to come experience what her family has brought to you for years in farm fresh produce – and so much more! The Goodlove name is noted for some of the best farm fresh produce in our area for over 40 years. Now you can enjoy the farmer’s market all year long. Our concept is based on the belief that we support local produce growers, local craftsmen and women, and local artists for the best local Iowa handmade gifts and crafts. Now serving breakfast and lunch daily. We offer Iowa wines by the glass or to take home and enjoy. Reservations appreciated for larger parties. Private events welcome. We feature one of a kind gifts, homemade crafts and artsy items, antiques and the most eclectic treasures to choose from. Share in the joy of giving this holiday season at the Farmer’s Daughter’s Market. 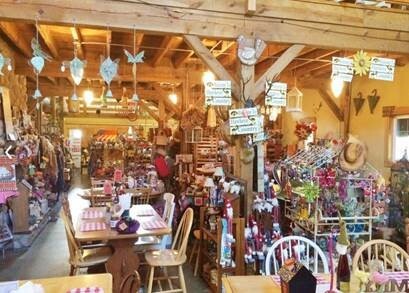 At the Farmer’s Daughter’s Market, we are committed to providing you a warm and friendly environment all under our red roof rustic barn. Relax with your family or friends and listen to the grand piano while sitting in front of our fireplace and dine over breakfast, lunch or just an afternoon desert and glass of wine. We provide outside dining for private functions or you can use the entire barn for your private events with plenty of seating inside and even outside during sunny days. We are unique, new, and refreshingly different – as a result, a high percentage of our business is from repeat loyal customers and referrals. We will be coming up on our 8th year at the barn and look forward to having you and your friends come out and visit us.